First and foremost this is a page with some basic info about the studio, how I work and hopefully You will find your way to the contact page after scrolling thru these pages. I mix/work with everything from the darkest metal to the lightest pop tunes. I find music to be something I can't control. I try to put my feelings and emotions into it, while the tunes are guiding me. But also if you have a strong opinion on what you want, please let me know! The way I learn is by hearing new stuff, new perspectives on sound. What you hear may be something completely different from what I hear. Lionheart Studio & Production is a music/sound studio ran by me, Oyvind V. Larsen and is located in Oslo, Norway. I started Lionheart Studio and Production back in 2003. I also work as a assistant engineer at the Norwegian Academy of music. I am also the guitarplayer in Withem (Prog metal band from Norway) Check out my band HERE and have previously appeared as a television character on the TV-show Heia Tufte (2 seasons) from 2005-2008. The studio that once began back in 2003 as an idealistic little place has since then grown from a preproduction room to a professional studio. Many high profiled musicians and bands in Norway have over the years done their recording/mixing in Lionheart Studio. One of my philosophies is that, I will never learn enough when it comes to sound. There is always something new to learn, a new software to check out. And every band I record or mix is a new experience. "Öyvind Voldmo Larsen is the ultimate studio wizard! He sees the big picture, immediately knows how to perfect any music he puts his hands on and provides amazing service... seemingly working 24/7 to please his clients. As a result, anything that comes out of Lionheart Studio sound absolutely killer! I mix with a hybrid setup. All editing and recording happens in my Protools 11HD Native rig, Driven by RME Raydat and Ferrofish converters. With my UAD, Waves, Slate Digital Plugins ++ Then everything is routed thru a Neve 8816 Suming mixer. This gives the sound a bit more smooth edge and a more dynamic feel. Mixing all in the box is also a great way to go. This way the mixes are always saved and can be fixed or remixed at a later date. 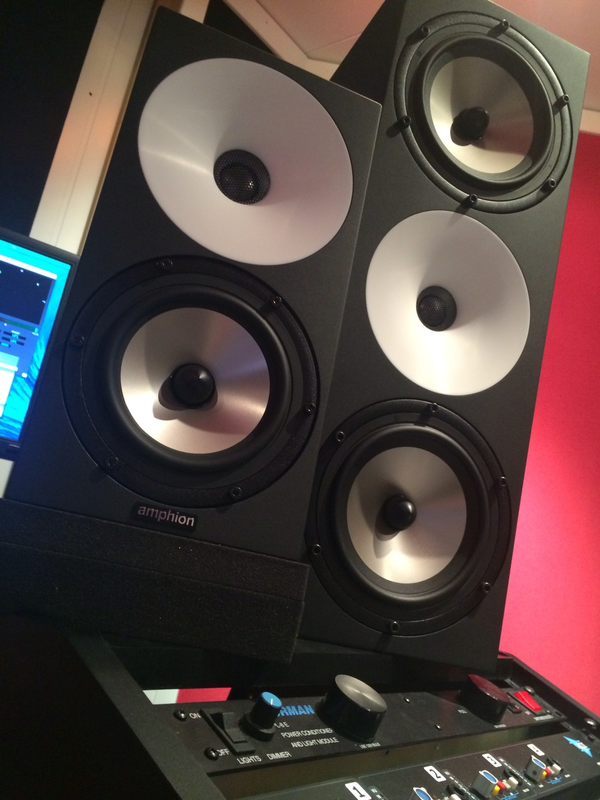 A great article on Hybrid setups..
My mainspeakers are Amphion Two18, These are great nearfield speakers that also sound awesome at lower levels. They translate very well so its pretty easy for you to sit down with me and make mix decisions on these without even knowing the speakers or my room. Also i check balance and mix thru my Dynaudio M1 and sometimes thru my Yamaha NS10. (Looks cool, sound like crap). My go to preamps for drums are API 3124 for the punchy sound, typically snare, bassdrum and toms. Aphex or Audient preamps for cymbals and overheads. My go to vocal strip is a Blue Blueberry thru my Universal Audio LA610. BUT, there is so many options here. And what is great on one voice doesn't have to be great on another. So many options.. Don't get lost ! Magic comes from the source, not the gear ! !